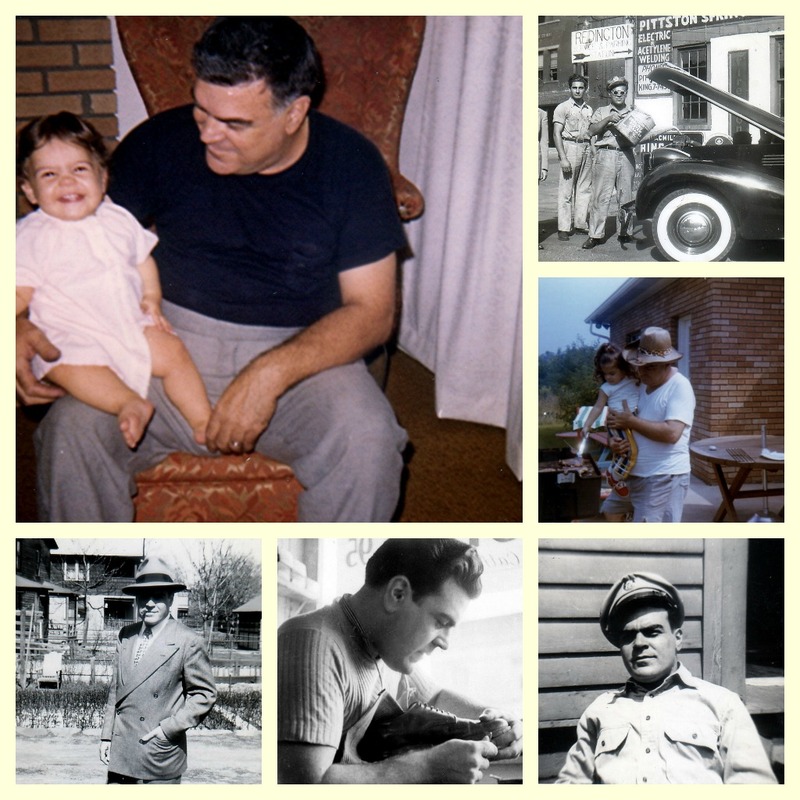 Father's Day for me is very emotional since my Dad passed away in 2004. I cannot believe it will be 10 years this September that he is gone. It does not seem like that long at all. On days like today, I really remember all the good times with him. He had a heart condition, so we were lucky to have him as long as we did. My dad was a shoe repairmen, as you can see from one of the photos, and that was quite an art. A skill that not many have today. He would make a really run down pair of shoes look completely new. His shop was the kind people went in and socialized along with getting their shoes repaired. He is so missed by my Mom and me. Being an only child, we were very close which was great. You only have one father, and if you are lucky enough to have a great one like I did, be sure to cherish them today and everyday. I read an interesting post about What Father's Day Means When You Never Had a Father, the author really makes you smile in the end. Happy Father's Day to all the Dad's out there, as well as my own!